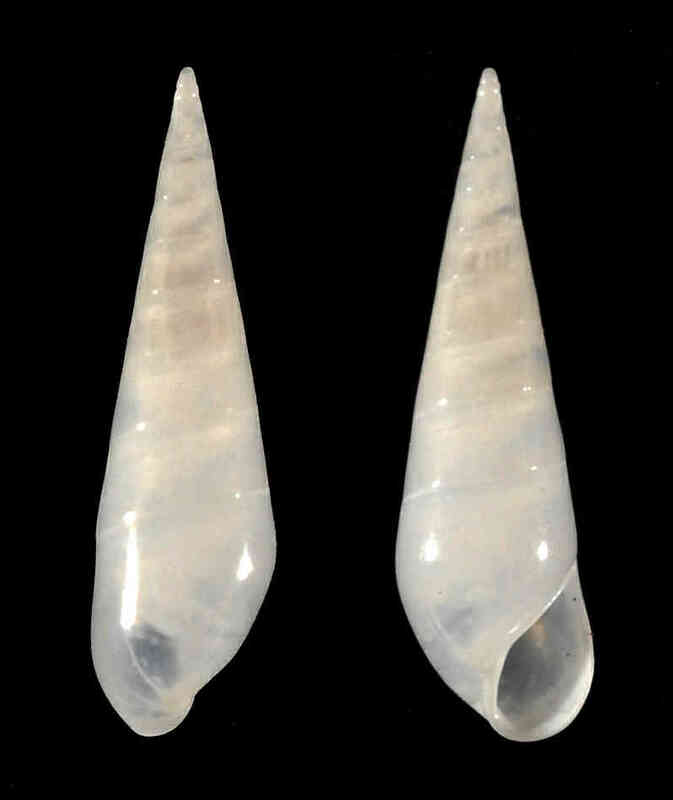 Shell size to 8 mm, shell delicate, straight-sided, with very transparent, minute protoconch. Aperture elongated, flaring at its base. This species is more delicate than similar Melanella eburnea, which also occurs in SW Florida. As with many members of the Eulimidae, shells of live snails (or fresh-dead) are translucent, becoming opaque after death of the animal. 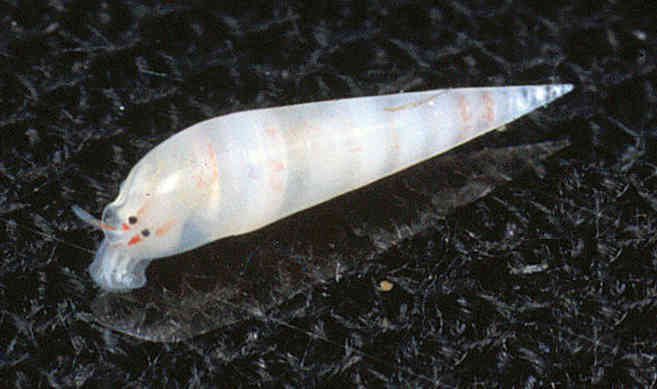 Snail tentacles have each a red band, which is interrupted around the eye. Picture of the live slender eulima was taken by the late Smithsonian photographer Chip Clark in the Bahamas, during the 1999 Shell Museum/Smithsonian Deep-sea Expedition.